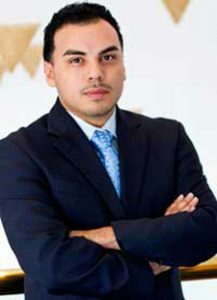 Mateo Raul Magdaleno is Chief Education Officer for the IDQ Group Inc., providing innovative education strategies to corporations, non-profit, government agencies, universities and school districts who are committed to reducing the drop out rate and increasing college enrollment among underserved students. 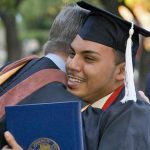 Magdaleno is also the Founder and Chairman of The Magdaleno Leadership Institute, a non-profit organization devoted to building high school student servant leaders. Most recently, Magdaleno was appointed by the U.S. Senate Majority Leader and confirmed by Congress, to serve a four-year term on the U.S. Congressional Award National Board of Directors, who present Congress’s highest award for youth. He also serves on the Texas Advisory Council for the Congressional Black Caucus Foundation and serves on the National Advisory Board of the Congressional Hispanic Caucus Institute. In addition, to managing his own business and philanthropic work, Magdaleno serves as the caregiver of his elderly mother, Maria and in the process of adopting his older sister, Sylvia Magdaleno, who is gifted with down syndrome.